After our one-night backpack trip to Kesugi Ridge near Denali, we needed a break from hiking and camping, so we rented an apartment in Anchorage for five nights. Once we were rested and fattened up, we hit the road again, heading east towards the Yukon. 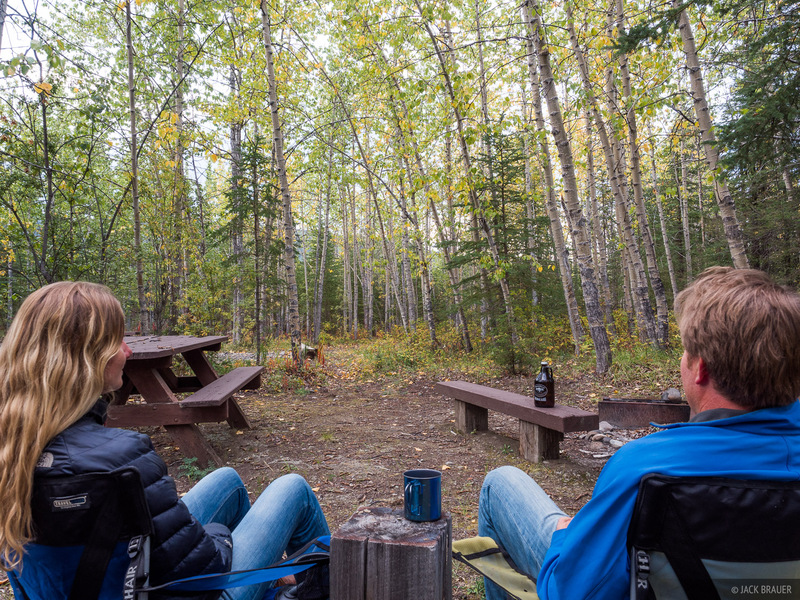 We spent a night at a campground near Tok along the way, with autumn colors starting to show in late August.